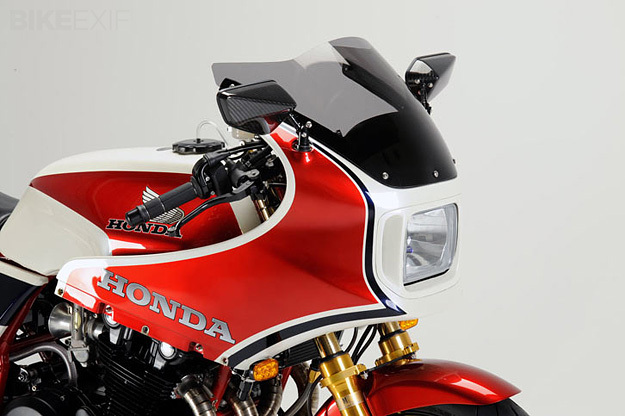 Fans of retro Japanese superbikes will know the Sanctuary name: these guys are the kings of the resto-mod scene. 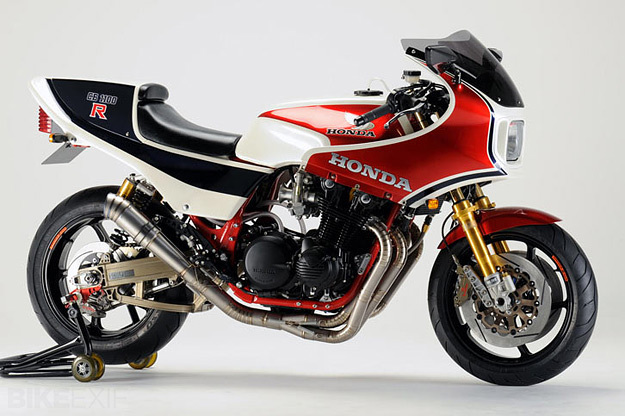 This is their latest release, a thoroughly rebuilt Honda CB1100R that’s even more desirable than the original. 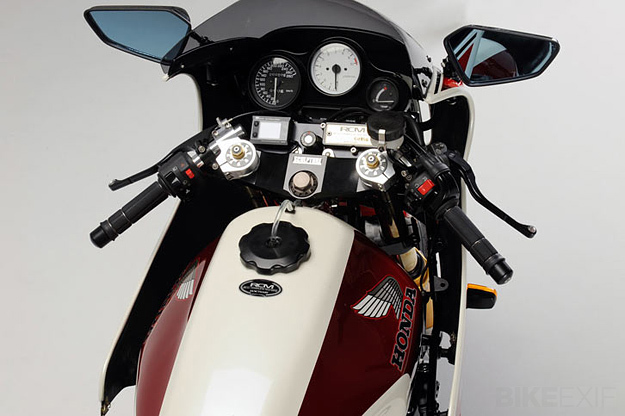 ‘RCM-156’ has got a heavily reinforced frame, Öhlins suspension front and back, and 17” OZ Racing wheels shod with Pirelli Diablo tires. Sanctuary has given the inline-four motor a capacity boost from 1062 to 1123 cc, and added ported and polished heads and Cosworth pistons. Fueling comes from a Mikuni TMR38 flatside carb setup. 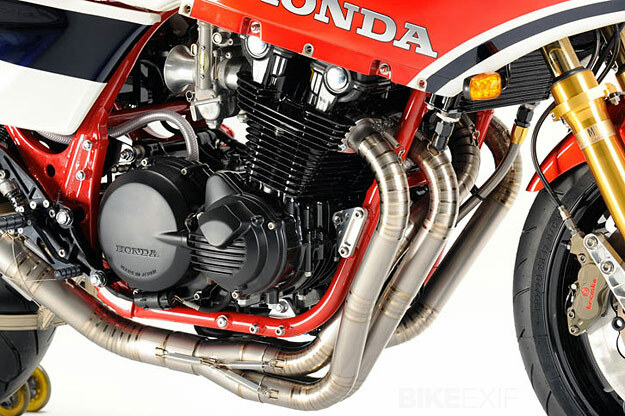 Other top-shelf parts include a smattering of Nitro Racing items—including the titanium ‘V3’ exhaust system—and the brake system is a potent cocktail of Brembo, Nissin and Sunstar components. 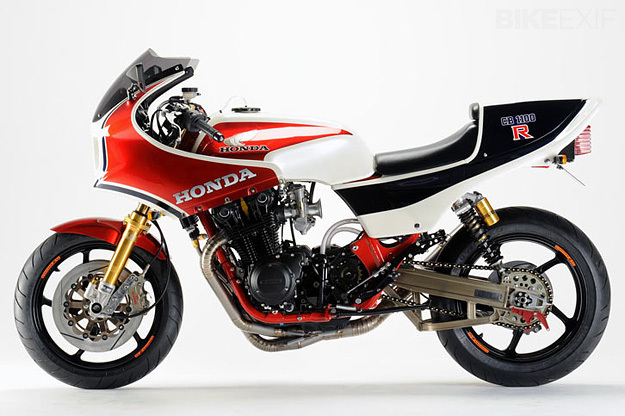 This CB1100R has all the charm of the 80s model, with modern handling and reliability, plus searing performance. What more could you want?